Through sunny summers and harsh Ohio winters, your garage door takes a beating. Wear and tear is natural, and breakdowns are inevitable. That’s why it’s so important to have a trusted service provider on call. Whether you own a home or business in Liberty Center, Ohio, Quality Overhead Door can be that trusted provider. We’ve been serving the greater Toledo area since 1982, providing top-quality products and superior customer service. We can quickly diagnose any issues you’re having, make repair recommendations, and then execute on the services you choose. For the best garage door repair services in Liberty Center, Ohio, count on us at Quality Overhead Door. We deal in a series of high-quality garage door and opener brands, and our team of experienced technicians can provide service and repairs and garage doors and openers of any make or model. Through three-plus decades of service, we’ve found our diverse and comprehensive capabilities are an asset to customers. No matter your garage door repair needs, our experience and market knowledge ensure we can provide a fast and effective solution. And you’ll also discover we offer more than just garage door services. At Quality Overhead Door, we provide installation and service on awnings, fireplaces, entry doors and much more. At Quality Overhead Door, we work with both residential and commercial customers. Need sectional doors, rolling steel doors, pole barn doors or other commercial products for your business? Quality Overhead Door can deliver. You’ll find a series of quality products. And just like with our residential services, our commercial services are delivered through experienced technicians who work quickly and effectively to install or repair commercial overhead doors at your place of work. At Quality Overhead Door, we’ve been recognized as an authorized dealer by top manufacturers, and we’ve earned awards from top consumer sites, such as the Super Service Award by Angie’s List. These honors are just a small indication of the greater care and concern we bring to each job. When you call us at Quality Overhead Door, be assured our No. 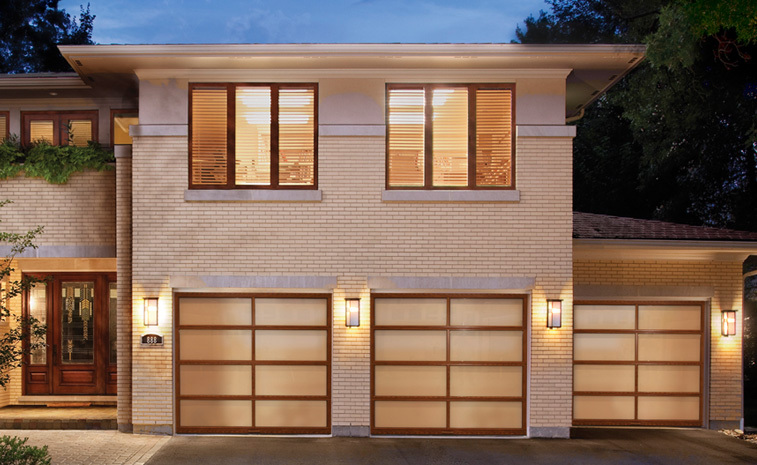 1 goal is to quickly meet your garage door needs, whatever that requires. Contact us today for garage door repairs at your Liberty Center home.